Pam Porter and her husband moved to Carbondale in the fall of 2013 after their home was flooded in Boulder. Pam is thrilled to be back. She lived here when she was a kid- her parents taught at CRMS in the 1960s. Pam has her master’s degree in Arts Education and is also a certified professional life coach. She has a strong background in many art forms but printmaking has always been her favorite. 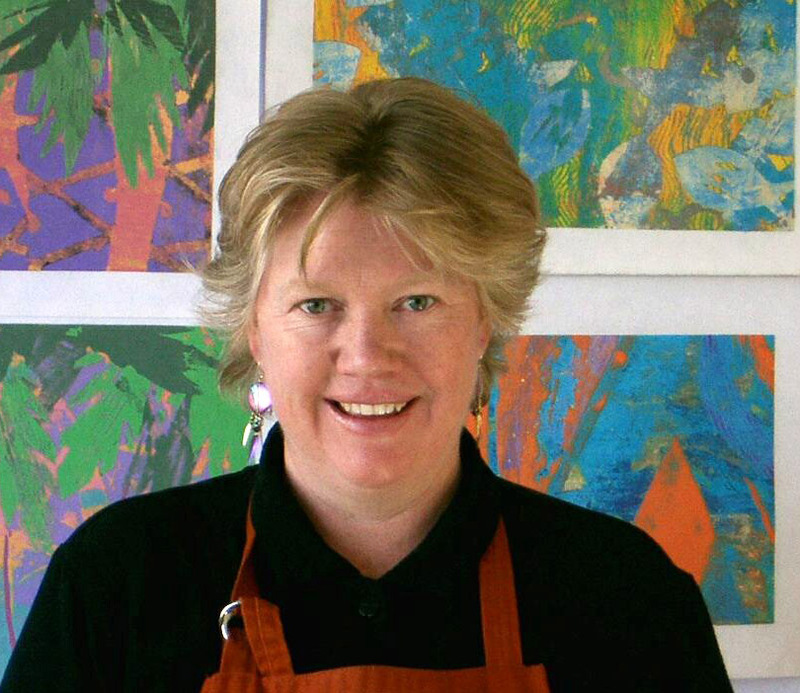 In 1997 she attended Haystack School of Crafts in Maine and discovered a wonderful printmaking technique called Clay Printing. She loves making clay prints and teaching this amazing technique to others. Pam offers a variety of art/creativity classes for all ages throughout The Roaring Fork Valley, and in her studio at SAW. She is also the author of the children’s book, The Magic Cookbook. Learn more about her at www.thecreativeflowstudio.com.